As many of you will be aware, we have been going head to head against California State over-regulation of small-scale gold mining for more than ten years. These battles have taken place in Siskiyou County, Plumas, Alameda and San Bernardino Superior Courts, the Third and Forth Appellate Courts and even the Supreme Court of California. Last year, we made a major breakthrough when the Third Appellate Court Ruled unanimously that the State’s scheme of requiring gold miners to obtain a State permit, and then refusing to make such permits available, is an non-enforceable scheme which is preempted by federal law. This Ruling is now being reviewed by the California Supreme Court. 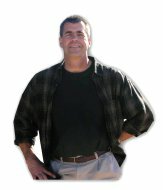 We were given an even larger win by the San Bernardino Court this past summer when the Court issued a lengthy Ruling that the State does not have the authority to first pass a law the requires small-scale miners to obtain a State permit, and then pass a second law that forbids the issuance of such permits. When we motioned San Bernardino Court to Order State agencies to begin issuing permits again; or in the alternative, stop harassing small-scale miners operating on the public lands without a permit, the judge refused to do so. We are actively appealing this to the Forth Appellate Court. Imagine a California court Ruling that State actions are unconstitutional, and then basically issuing a Ruling that continues to allow the unconstitutional activity. Since we were not being provided meaningful relief from San Bernardino, early this past season, several brave individuals began suction dredging along the Klamath River in hopes of getting arrested by State law enforcement officials. If the State arrests you, you have a right to be brought in front of an impartial judge within 48 hours, Sundays & holidays excluded. The result was that several of our members were arrested. Mining gear was seized from these guys and from others who were not arrested. Even though Dyton Gilliland was arrested and held in jail, rather than being brought in front of a judge according to the law, he was eventually kicked out of jail with no further explanation. Individual stories can be found in the Declarations below, and in the briefing documents. Now the State has filed criminal charges against two of our small-scale miners in Siskiyou County. The first hearing is scheduled for November 5 at 8:30 am in the Siskiyou County courthouse in Yreka, California. We hope you will pass the word around so we can flood the courthouse with Americans who want to see the insanity put to an end. We see this as a hugely important case. To a large extent, this case is very similar to the Rinehart case several years ago which won our industry a unanimous win in the Third Appellate Court — the very same place this case will likely end up! The difference here is that we have several additional important wins which have supported our side since Rinehart was decided. The really important matter at stake here is whether or not State officials, who swear an oath to support and defend the constitution in order to become State officials in the first place, are going to be allowed by the judicial system to continue to enforce unconstitutional laws upon the people. This case has ramifications far beyond small-scale gold miners. It has more to do with whether or not we live in a totalitarian State where the people no longer have a civil remedy against the unlawful actions of the ruling class. These ongoing legal challenges have raised another important question: What is the use of devoting 10 years in the court system, and over a million dollars in legal fees, if State authorities are going to completely ignore the outcome if it does not support their side?